Initially used as a hunting lodge for Ottoman sultans in the 19th century, Istanbul’s Yildiz Palace—aka the Star Palace—became a secure option when Sultan Abdulhamid II feared an attack on the seaside Dolmabahce Palace. Located in Istanbul’s Besiktas district, the current Yildiz Palace is the result of an expansion and serves as a museum. The large Yildiz Palace Museum property contains lovely pavilions and gardens. 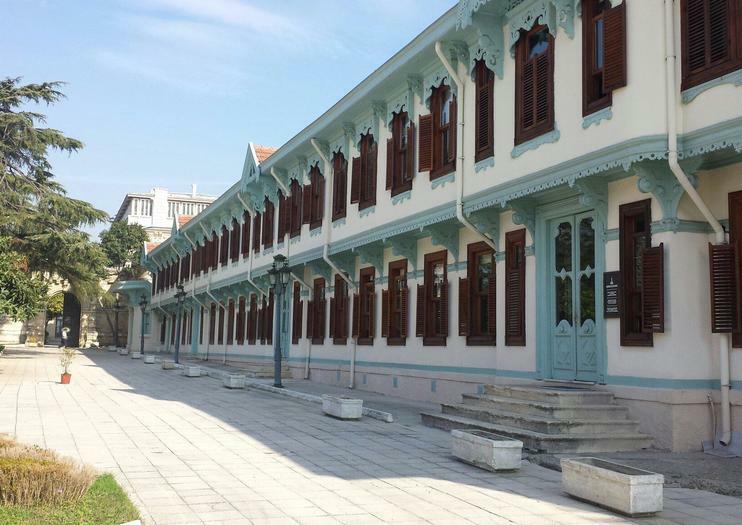 The museum itself, housed in the former carpentry workshop section of the palace, contains exhibitions about Ottoman sultans and the governmental history of Turkey, and has a collection of objects from the palace. Some private and small-group Istanbul tours visit the Yildiz Palace Museum. These tours usually also include Dolmabahce Palace, Topkapi Palace, Rumeli Fortress, Pierre Loti Hill, and a Bosphorus cruise. Yildiz Palace Museum is a must-visit for history buffs. The museum is surrounded by extensive gardens that are a popular spot for picnics. Wear comfortable shoes to explore Yildiz Palace Museum and the surrounding grounds. The Yildiz Palace Museum is most easily accessed by bus or minibus from Besiktas, or by taxi. You can reach Besiktas by ferry or bus, and the museum is a short walk from the end of the Kabatas tram line. For the most convenience, take a taxi to the museum or choose a tour that includes round-trip transportation. The Yildiz Palace Museum is open from 9am to 7pm between April 16 and October 31, and to 7pm from November 1 to April 15. Arrive early in the day on a weekday to beat the crowds. Yildiz Palace briefly became the center of Ottoman power when Sultan Abdulhamid II chose to move there, fearing a seaside attack. Before and after, Ottoman sultans resided at Dolmabahce, an elaborate 19th-century palace on the shores of the Bosphorus. Predating Dolmabahce Palace was Topkapi Palace, the 15th-century imperial residence on Istanbul’s historic peninsula. Visit a traditional spice bazaar, cruise the Bosphorus Strait, then take a shopping tour of Istanbul’s distinctive handicrafts on a city tour that includes round-trip transfer from your hotel or port. This guided tour offers an overview of the city sights, with all entrance fees included, and transport on an air-conditioned coach. Istanbul is the world’s only city that lies on two continents, and this full-day small-group tour takes in the highlights of both the European and Asian sides. Explore the vibrant Spice Bazaar, cruise along the Bosphorus, tour the Ottoman-era Beylerbeyi Palace, and take in the views from Camlica Hill, Istanbul’s highest point. Suleymaniye Mosque is the largest imperial mosque and one of the best-known sights of İstanbul. The mosque crowns İstanbul on a hilltop dominating Golden Horn. Blue Mosque, facing Hagia Sophia, famous with its blue Iznik tiles and unique with 6 minarets.Hippodrome, the centre of sportive events and political activities of the old city. Turkish and Islamic Arts Museum is housed in the former palace of İbrahim Paşa, the grand vizier to Süleyman the Magnificient.Afternoon visit to Yıldız Palace overlooking the Bosphorus which became the fourth administration centre of the empire following the Old Palace, Topkapı Palace and Dolmabahçe Palace. You will enjoy the gorgeous colours of the flowers of the Yıldız Palace Gardens and will have the chance to experience a marvellous view of the Bosphorus through the peaceful green of this public site. Freetime for a tea break at the Sale Kiosk, former Sultan’s residence from the Ottoman Period.